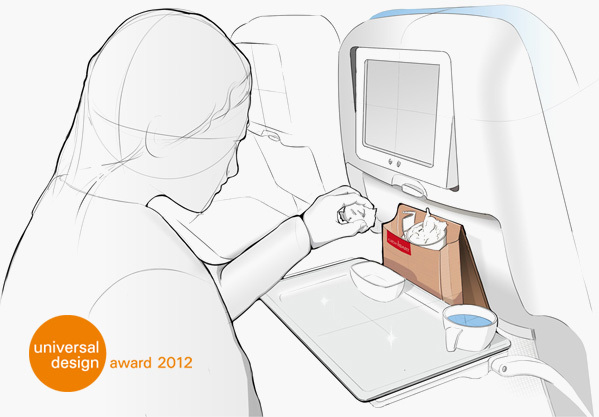 If a concept focuses on user-centered-design and bringing real improvement for users as much as cabinBART does, it's a given that it must compete in a competition like the prestigious universal design award. It's main principles include, amongst other points, user-centered design, interdisciplinarity, social responsibility and future orientation, which is exactly what cabinBART is all about. Winning such a competition is the best proof of thinking about the right points. And cabinBART did win. cabinBART could convince the expert jury of the universal design award and was declared one of the 2012s winners in the category mobility. The award ceremony will be held on April 26, 2012 at the Hannover Messe. As soon as there are new informations available, you can find them in the news section. More information on the Universal Design Award, the Universal Design philosophy and all dates can be found on the Homepage of Universal Design Germany.